Sathyabhama Das Biju is an unearther of the earth’s forgotten stories. He sniffs out links between the genetic codes from the beginnings of life and the present to give us a picture of the cosmic cycle of evolution, extinction and maybe even rebirth. When, two years ago, he dug up an earthworm-like legless amphibian of the chikilid family in the deep forests of Meghalaya, he was holding in his hands one of the few living species that shared the earth with the dinosaurs. That discovery, published last fortnight in the Proceedings of the Royal Society of London after strenuous scientific scrutiny and recognised protocols, has proven that India’s forests are a treasure trove of evolutionary secrets. 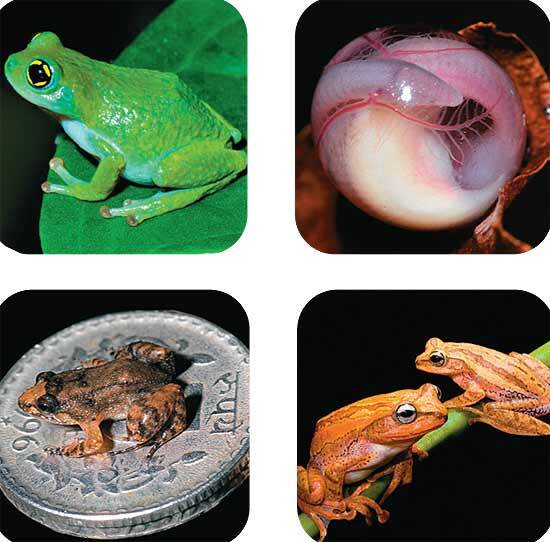 Bittu Sehgal, editor of Sanctuary magazine says, “Biju’s research and surveys, using students, communities and scientists, prove beyond doubt that half of all frogs face extinction. 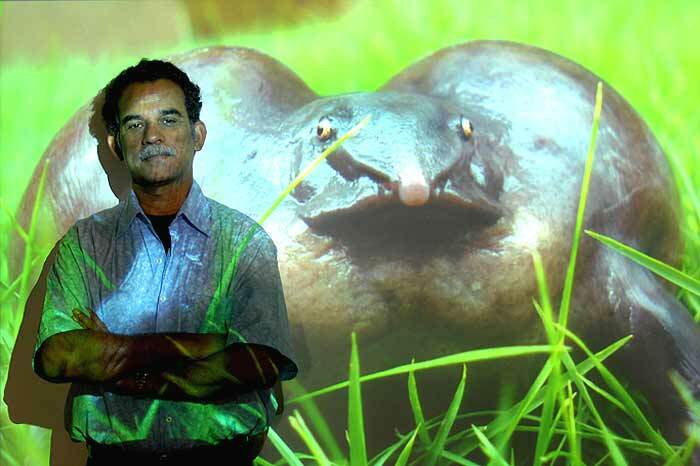 Apart from pure natural history insights, his team’s consistent discovery of amphibian species suggests that all is not lost in the Indian subcontinent. Our wetlands hold the key to human survival in an era of climate change.” The web of life has a billion unseen bits that keep the macrosystem running, Biju’s colleague Aniruddha Mookherjee says, adding it’s people like Biju who can make the government see how significant their point of view is. For a person who has introduced us to such trans-epochal sagas of evolution and extinction, Biju’s had been a down-to-earth start to life. He received his schooling at a government institution in Kadakkal, located near the Western Ghats in Kerala’s Kollam district. He recalls, “I have no memory of school life at all. For me, school was secondary. Helping my parents milk the cow and taking the cattle to graze is my main memory. There, I sat in the forest wondering at its might and the wonders it hid.” Indeed, one might say that it is to such pastoral ruminations that science today owes so much. Over the decades that followed, Biju would revisit and play out this childhood fascination time and again as he dug out the secrets that the forests once hid from him. He finds the night the most fascinating time of day. In its piercing silence, he can hear the frogs playing out their mating games. It was one such cat-like catcall that allowed him to discover the meowing night frog in the Western Ghats which he named Nyctibatrachus poocha (poocha meaning cat in Malayalam).